Hello ladies! Have you heard the good news from Pond's? that it's been expertly designed and formulated for morena skin, something every Filipina should be very proud of. It makes a perfect fit for those Pinay-na-Pinay beauties with dusky skin or chinitas with yellow-tinged complexions. This means that morena beauties now have a BB cream option that is suited to their specific skin needs. I was fortunate enough to attend an intimate get-together luncheon held at the M cafe in Ayala Museum yesterday that was beautifully put together by the lovely ladies from the Pond's Team, led by by Brand Manager, Cesca Silvestre, and Unilever Head of PR, Apples Aberin. It was a lovely lunch filled with beautiful treats, good food, chitchats and of course, Pond's (multi-awarded and already famous) BB Cream. Unilever head of PR, Apples Aberin, beautiful and radiant as always. The brand has been perfecting the skin of generations of Filipinas for over 160 years now and when they launched its Pond’s Age Miracle and Flawless White BB+ Cream with SPF30 PA++ in 2013, women instantly fell in love with the wonder balm’s spot-concealing and glow-enhancing properties. I'm pretty sure that the latest shade of this revolutionary BB Cream will definitely sweep ladies off their feet. Miss Cesca discussed the concept of this multi-tasking product we all love and explained to us how amazing and beneficial this new shade of Pond's BB Cream is for Filipinas. She also said that while skin experts say that the higher the SPF, the oilier the skin gets, Pond's BB cream has its added multi-faceted solution that aims to control excess oil, moisturize and gives an impressively matte finish. I was quite surprised with how generous they were. Since I was lucky enough to take this beauty box home with me and being a BB cream junkie, I was more than ecstatic to open it and review the newest shade of Pond's BB cream on the market. I just couldn't wait for another day to post another BB cream review so I tried it this morning to share a bit about this new BB cream that has officially thrown its hat in the ring. 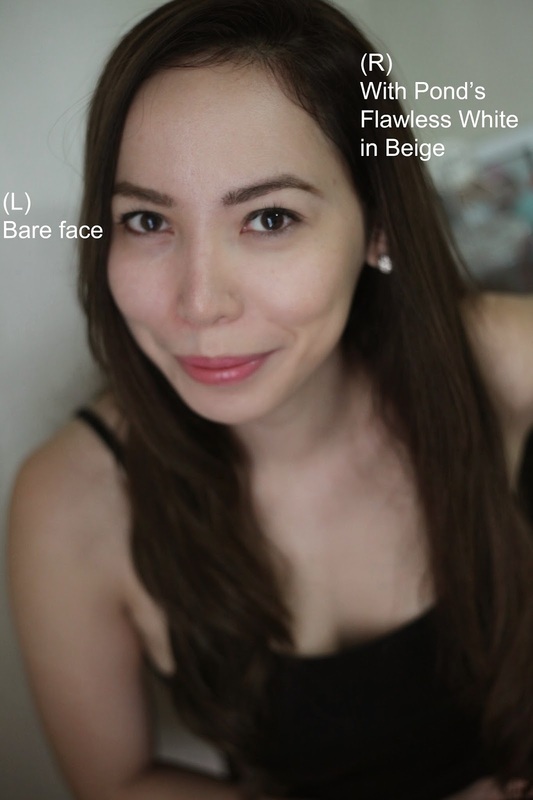 Actually, this post is mainly dedicated to the Pond's Flawless White BB cream in Beige but since I have all 3 products as a set, I might as well review and compare it with Pond’s Age Miracle BB+ Cream in Light and Pond's Flawless White BB+ Cream in Light as well. Instantly spot-less and always radiant skin! Pond’s BB+ Cream helps provide effortless natural bare-faced look with instant natural coverage and it lightens from within. It addresses women’s cosmetic and skin care needs by providing a sheer veil of coverage, by masking imperfections and blemishes, and by protecting from the harmful effects of the sun. The packaging looks similar with a large twist lid in shimmering silver, but the color is different. Flawless White has glossy pink and silver color, while the Age Miracle has bright red color. I’m a sucker for glossy and shiny packaging so I was definitely drawn to these pink beauties. It is by far my favorite packaging of any of the BB creams I've used. It comes in 8g and 25g tubes so you have more buying options. The pointed tip and nozzle is quite small so you can easily control how much you want to use. The tube is small enough to put inside the purse or bag, perfect for busy and always on-the-go women. Swatched! 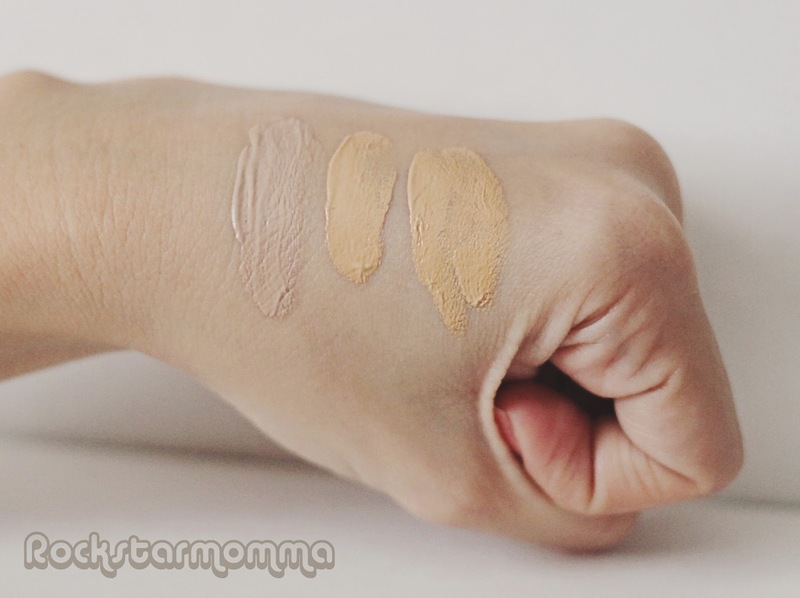 As you can see from the swatch above, the Age Miracle has slightly darker color and it felt creamier compare to the Flawless White which is lighter in color, a bit denser and thicker in consistency. 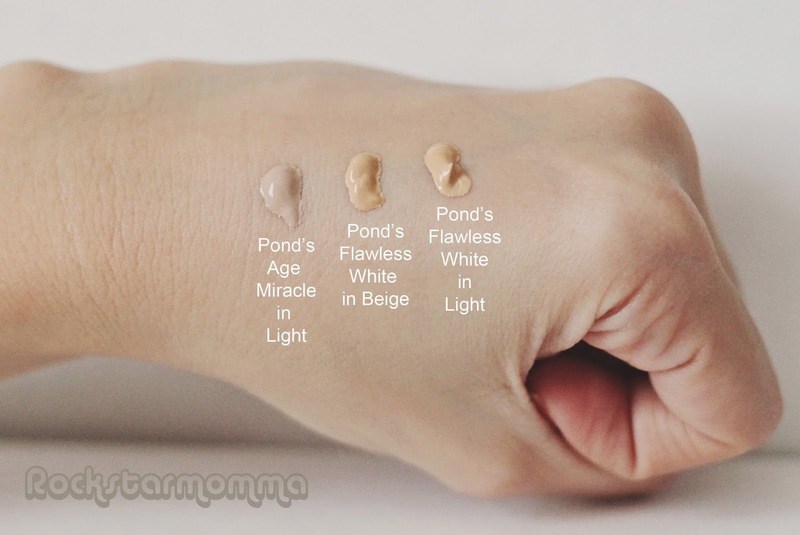 Pond's Flawless White in Light is slightly lighter than the Beige and has pink undertone. There are currently 2 shades available for Pond's Flawless White; Light and Beige, the new shade for morenas or skin with yellow undertone. On the other hand, Pond's Age Miracle comes in Light shade which is directed towards aging or 30+ women (Ouch!) matches my skin tone perfectly. It’s not as white as Flawless White, and it gives more dewy finish. There's quite a difference with color when blended so I'm not quite sure how the color would work for people who are somewhat in between. Here's a tip from Pond's Ambassador and beauty expert, Agoo Bengzon. She said that if you're not sure of what shade to use, just mix both shades to achieve the shade that best complements your skin tone. Just like her, I don't like putting on thick makeup and I agree with her that sheer and natural is the way to go. Plus, a little goes a long way. They all have SPF 30 PA++, which is a plus for me cause I won’t have to worry wearing them in the sun! I'm 33 and I don't want to have wrinkly skin and fine lines by the time I'm 40! Seriously! :) The GenActivTM cover formula, which is packed full of vitamins leaves skin more even-toned after each application. It's very easy to apply and it has a creamy, lightweight consistency that glides on smoothly. The Beige is quite yellow-toned and because I have a neutral to warm undertone, it's a little too dark for my skin when I first applied it. But when applied using a foundation brush, it blended in perfectly well with my skin, leaving my skin a more matte finish without being chalky, which I like. It's also perfect on those days you want to look fresh or let your skin breathe and not look "made-up." I think it looks best when applied with a foundation brush to really blend it into the skin, but can also be applied with your fingers, just make sure you blend it well and massage it into the skin. In my opinion, it offers more than enough coverage as I don't need to apply concealer to any blemishes or dark circles under my eyes, but that obviously depends on what condition your skin is in. It's also the perfect primer for those that need or want extra coverage. My T-zones (forehead and nose) got oily after around 5 hours, so I guess the oil control is pretty good on me. It's very hydrating and can supplement your current skin care routine but it's not something to replace your moisturizers. Who needs 3 different products when you can get all their benefits in one tube? Definitely worth the retail price. You can avoid wasting time on makeup shopping and cut down on your cosmetic budget by simply adding a multi-faceted solution to your beauty regimen like the Pond’s BB+ Cream. Pond's Age Miracle BB+ Cream in Light - Php 499 Available in all leading department stores and drugstores. • Lightweight and not greasy at all. No sticky feeling! • It comes in smaller tubes- 8g and 25g only. I have a thing for bigger tubes, it's a personal thing though. 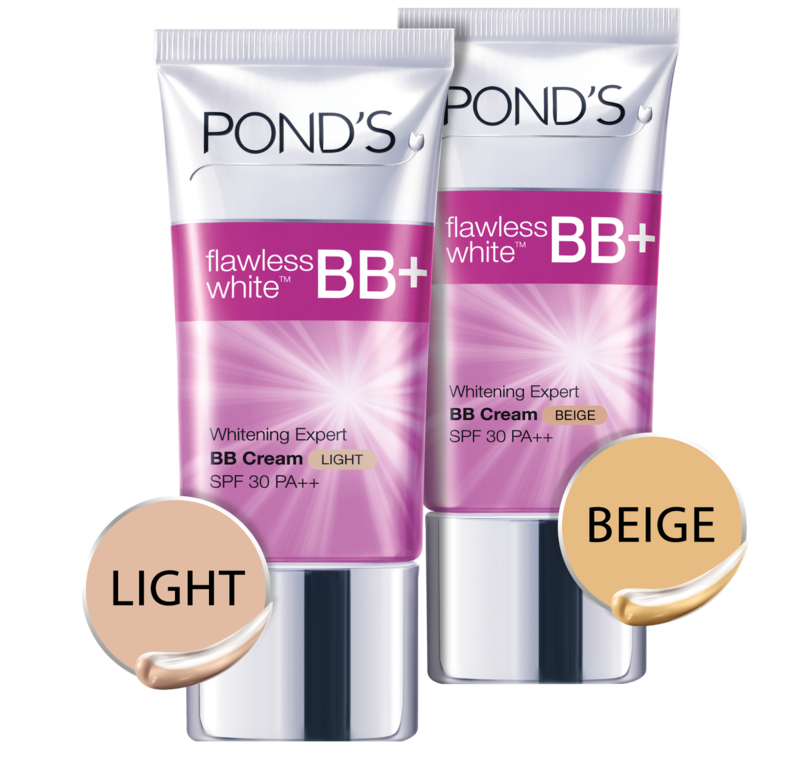 • Pond's Flawless White is only available in two shades while Pond's Age Miracle BB+ Cream has only one shade. Hopefully, there will be more shades soon. I'm glad Pond's has developed Pond’s Flawless White BB+ Cream, a whitening cream and lightweight foundation in one, giving both skin care and makeup benefits. I’d say well done to Pond’s for creating another brilliant product that can firmly stand its ground around the likes of Dr. Jart and other popular BB creams. It’s like an all-in-one beauty wonder, which is why it rocks! 2. So far, I'm loving this product but this is only day 1 and I haven't quite used this product long enough to see any results of whitening dark spots on my face, so I'll be updating soon to share how it lasts through a normal workday and to report any breakouts. I hope there won't be any coz I'm really loving it! I would recommend you give this product a try because it blends in flawlessly and looks simply amazing. I really think it should be one of the latest must-haves in any girl's beauty arsenal. With this new addition, more Filipinas can now enjoy the right shade and formula that will perfectly blend with their natural skin tone. Want to try it for yourself? Well, here’s your chance! If you're reading this, you are one step closer to a radiant, lit-from-within glow because one of my lucky readers will have a chance to get her own Pond's BB+ Cream gift pack plus one of my favorite beauty must-haves! What makes Pond's BB cream better than any other double lettered creams out there? If you would like to read up on this product a little more, visit Pond's website. You can also follow Pond's on Twitter and Instagram: @pondsph and like Pond's on Facebook. Disclaimer: This product is for review purposes, however it will not affect my opinion about the product. Thank you for reading and I hope this review is helpful. Pond's BB cream have all the benefits in only one tube. What I like most is that it provides good coverage and blendable, esp. it has no sticky/greasy feeling. And also, Pond's BB cream is an all-in-one multi-tasking beauty wonder that the other BB creams. The texture, longevity and the effect! Ponds BB Cream has a very good coverage.. long wearing and has a lot of benefits to our skin with continuously using it. Pond's BB cream is lightweight and non-greasy which is perfect for women like me who have oily skin. Honestly . i havent tried this ponds bbcream . one thing for sure . its affordable . and its a trusted brand and ive heard from you and other reviews also that its lightweight and non-greasy perfect specialy for teens out there . Ponds BB Cream ge Miracle Lite gives me a youthful looks and also i have a cofident all day long!! Its affordable and effective. The product that has everything I need in one package. I've been using ponds products for more than 10 years because it gives my skin a more natural glowing effect. Pond's BB Cream is better than any other creams because it is non-greasy, conceals dark spots, gives a perfect matte finish, plus the SPF 30 PA++ which means that I can wear them in the sun. Pond's BB cream is light weight,non greasy,leaves a flawless finish and has SPF 30 PA++ that can protect your face from harmful effect of staying too long under sun! 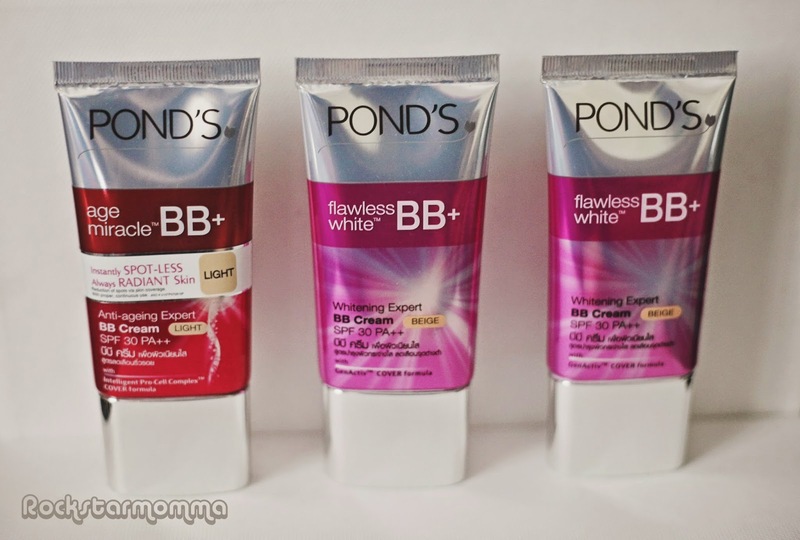 What makes Pond's BB cream better than any other double lettered creams out there? PondsBB satisfies me with their very economical price, the SPF that I need everyday and not so bad smell as I apply it! Pond's BB cream is an all-in-one multi-tasking beauty and helps provide effortless natural bare-faced look with instant natural coverage than other brands. Pond's BB cream is better than any other BB creams because it blends easily on your skin and doesn't clog pores. It also provides instant natural coverage and evens out the skin. With this new Pond's BB cream, more Filipinas can now enjoy the right shade and formula that will perfectly blend with their natural skin tone. #PondsGirl I've been using #PondsBBCream 'light' since its release. 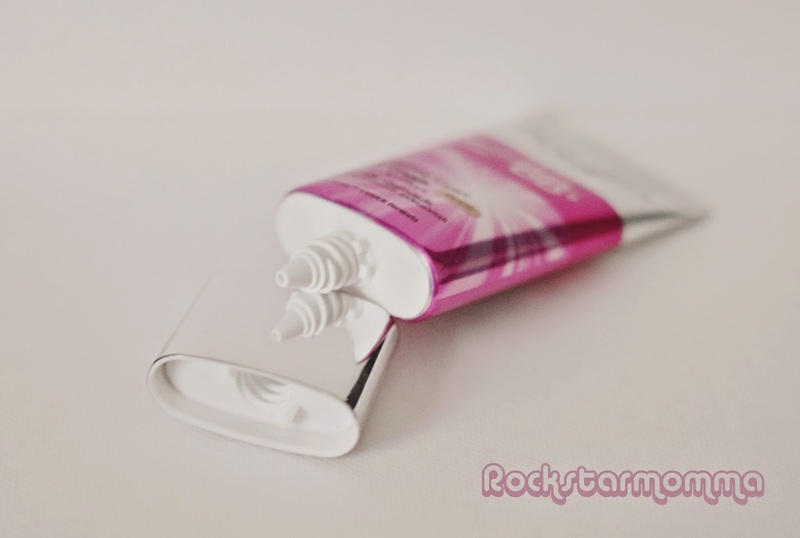 I love how it provides silky smooth base for my make-up! The shade is perfect for my skin complexion & it's easy to apply/blend. I also love its consistency, it doesn't cake even after a long day! And most of all, it is very suitable for our weather, its SPF gives me perfect protection from the harmful raise of the sun! Pond's BB Cream is better than any other creams because your skin will feel light, settles in much quickly, radiant the whole day and has SPF. Ponds BB Cream is the best BB cream for me because it is affordable & guaranteed effective. It also gives you that radiant glow + be sun protected too! Pond's BB cream is better than any other because it works really well on my skin which is really important to me. I don't have to put foundation at all because Ponds BB Cream do the work. No more oilyness. 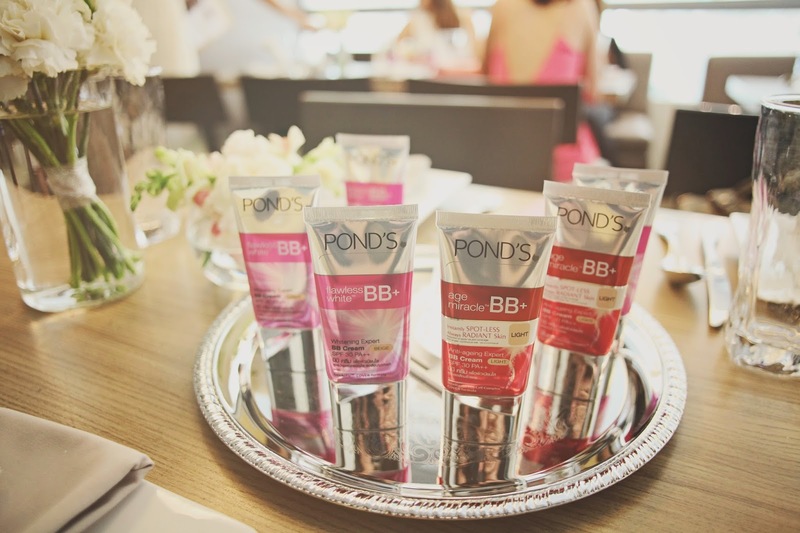 #PondsBBCream is better than others because it is easy to apply and it has spf30. It really masks imperfections and blemishes. Its blends easily and effortlessly. I never find that my pores clog and so it dint break me out either and good coverage. Ponds BB cream is the best and nothing compares to it. Utterly Magical Feeling even on the first try... It feels so refreshing and much clearer complexion all at once. I can go on a moisturized face but not at all sticky and oily. The smell is so nice, even my fiance loves the smell of it while he was sitting beside me. It makes me feel prettier every time i used this! i just love it! So happy to win your simple amazing prizes! Thank you, R0ckstarm0mma and Ponds Philippines. I really love, Ponds products! Certified #PondsGirl!